One of cricket’s most controversial mode of dismissal, Mankading is named after former Indian all-rounder Vinoo Mankad, who used this method to run out Aussie batsman Bill Brown twice way back in 1947. This gave the Australian media a chance to criticise him and, hence, they coined the term Mankading. It is basically a part of the rules of the game despite years of active debate on it because it prevents the non-striking batsman to take undue advantage in terms of backing up too far before a bowler completes his action. The batsman, of course, reacts, in the same manner, every time as if they have been duped although in most cases they are warned prior to the actual dismissal. R Ashwin Mankads Jos Buttler in IPL 2019: Spinners' Act Divides Cricket World as Former Players Debate Rules and 'Spirit of the Game' as Kings XI Punjab Beats RR at Jaipur. Law 41.16 came up in 2017 to replace the old law of 41.15 pertaining to Mankading to put the onus on the batsman for the dismissal. The law states that if the non-striking batsman does not want to be risked being run out, they must remain within their ground until the bowler has released the ball. 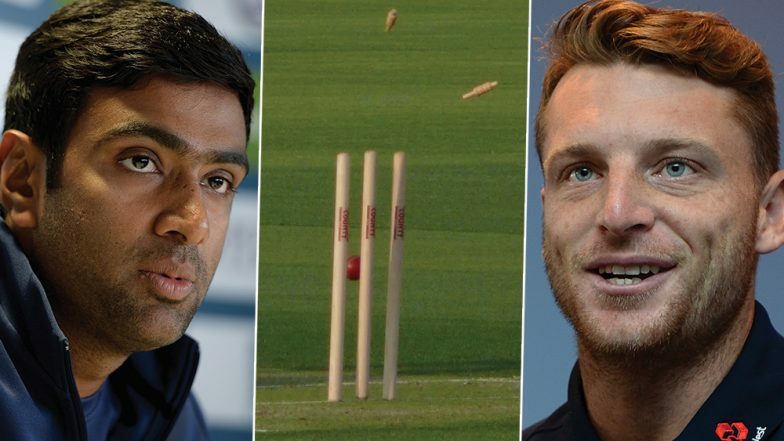 Watch Video of The Jos Buttler Run Out By R Ashwin Here. Peter Kirsten and Kapil Dev – During India’s first tour of South Africa back in 1992-93, Kapil Dev create quite a stir as he mankaded Peter Kirsten without any warning. Although Kapil Dev suggested Kirsten had been leaving the crease on several occasion forcing him to run him out. Things took a turn for the worse when Kepler Wessels was accused of hitting Kapil with the bat in order to avenge the whole mankading incident. Lahiru Thirimanne and R Ashwin – The man who has stoked the latest controversy involving mankading has done it before as well when in 2012 he ran out Sri Lankan batsman Lahiru Thirimanne but after sounding out a warning. Virender Sehwag, India’s skipper though chose to withdraw the appeal sticking to the spirit of the game. Jos Buttler and Sachithra Senanayake – Sri Lankan spinner Sachithra Senanayake had wared Jos Buttler not to venture out of the crease before he completes his action in a fairly animated manner. The next time Buttler left his crease, he was dismissed with Sri Lankan players keeping their celebrations to a reduced level. Richard Ngarava and Keemo Paul – The West Indies won a thrilling game against Zimbabwe in the under 19 World Cup with Keemo Paul claiming the last wicket of Richard Ngarava through mankading. With three runs needed for a win and a single wicket in hand, the Zimbabwean considered themselves extremely unlucky. The rules regarding Mankading are clear and should not be mixed with the spirit of the game. While the ICC does not state the bowler to warn a batsman prior to mankading him, expect a few more such kind of dismissals to come up in the near future.